Barlaston Community Group chose to run a village Film Night to create a local event which assisted in achieving part of its aim to 'To foster community spirit and encourage neighbourliness within the village of Barlaston'. 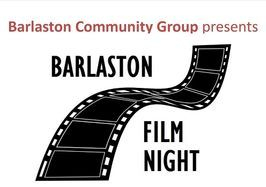 The Barlaston Film Night is held in Barlaston Village Hall, 1 Longton Road, Barlaston, ST12 9AA and is a community event for everyone. Although the event has not been designed as profit making, any money made from the Film nights will be invested back into the village. A great big Thank You to Saturday's Film Night audience who had waited so patiently (5 months?!) 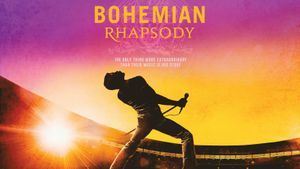 for us to get Bohemian Rhapsody. Hopefully the problem with the sound quality towards the end of the film didn't spoil your enjoyment of the evening. The raffle was as popular as ever with some super prizes including freshly baked cakes made by BLISS cakes and some Wedgwood pieces donated by Renee. 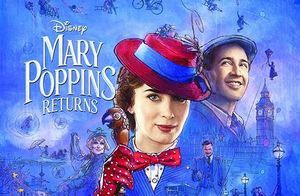 And don't worry we'll make sure the speakers are in perfect working order for Mary Poppins Returns on 26th April & A Star is Born on 1st June! Thank you for supporting Film Night & we look forward to seeing you again soon. The new projector & screen, funded by the National Lottery, was a great success & we are already looking forward to our next film. 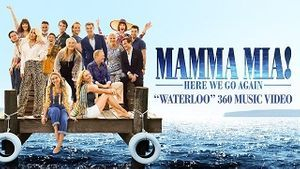 What a fun film - we laughed, we cried & we sang!! Thanks to everyone for coming & to Irene, Sue & Pat for their folding, ripping & tearing skills, Sam, Jess & Andrew in the kitchen, Team Lakin, Donovan & Howdle for marshalling the chairs & to absolutely everyone for being such a FANTASTIC audience!! 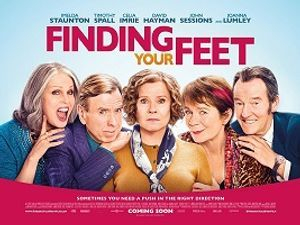 A great big Thank You to everyone who gave up the opportunity of watching football, having a BBQ, or joining in the party at the Plume in favour of watching Finding Your Feet with us in the village hall! The film was great - happy, sad and very funny - we can thoroughly recommend it. Thanks too to the support team, you are much appreciated! Thanks so much to both residents & helpers who abandoned thoughts of a glass of wine & a BBQ in the garden last night & came to see The Greatest Showman instead! It was much appreciated & made it a fun-packed night! Thanks to everyone who came to see Paddington 2 at the Village Hall last night. The film was great fun and enjoyed by a lively audience of mixed ages. And we couldn't do it without our wonderful team of volunteers who provided refreshments and helped clear up and put chairs away at the end - Community Spirit is alive and thriving in Barlaston! 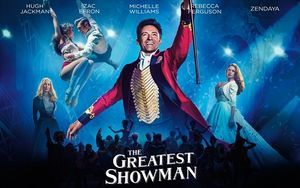 The next Film Night will be on the 5th May and we are hoping for 'The Greatest Showman', a feel-good musical based on the life of PT Barnum and his colourful quest to create a circus. Watch this space! Another sell-out for the Barlaston Film Night! Victoria & Abdul reflected resident’s appetite for a feel- good film. The biographical comedy-drama contained some un-politically correct humour and got everyone laughing out loud! Thank you so much for supporting the event & thanks to Kitson’s as always for selling tickets & being helpful & supportive to all community activities! 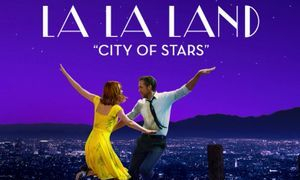 The April film was the much hyped La La Land. The doors opened early so that residents could have a drink in the Ruth Dickson Bar & Café area (ooo La La!) and sit and chat over a glass of wine and some nibbles. 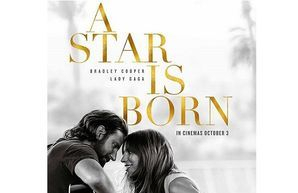 The reviews were mixed however - some declared the film ‘fabulous’ and others left feeling rather disappointed saying they couldn’t understand what all the fuss had been about! The Viceroy’s House is being considered for the next film but as always, if you have any suggestions do please let us know. 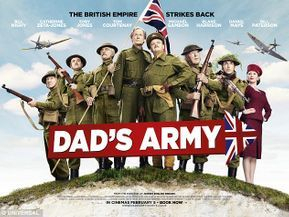 The film was another sell-out with many residents describing it as the funniest film they had ever seen! People arrived as the doors opened & chatted over a drink in the bar (aka the newly transformed Ruth Dickson room) - tables & chairs were dotted around with low lighting & nibbles on each table. It was a very social occasion & a great film to boot! All proceeds went to the Barlaston Village Hall. Another brilliant film showing at Barlaston Village Hall tonight. 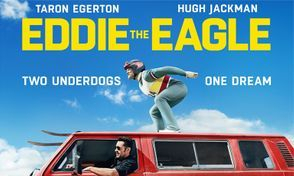 The inspiring "Eddie the Eagle" had the audience laughing at his antics and flinching at his falls. Thank you to everyone involved in organising the evening including the Reels on Wheels team who always do a good job. The audience at last night's showing of Dad's Army were honoured by the attendance of celebrity couple Captain & Mrs Mainwaring (aka Patrick & Jane Plant) who also drew the raffle. A good night was had by all - huge thanks to everybody for supporting the event! The 9th of January and it was a full house for Barlaston Community Group's showing of Spectre! It was a great night with all ages enjoying the film. Thanks to everyone that attended and braved the elements to get to the Village Hall! 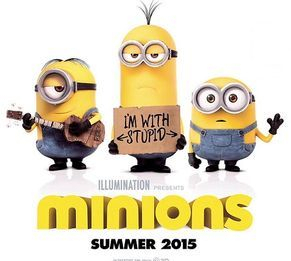 The Minions film on Saturday was championed by Sara Morris and family and a great time was had by all! Doors opened at 2pm and children and adults alike enjoyed the Minion cupcakes and biscuits before settling down to watch the film. Many thanks to those that dressed up, those who helped and most of all thanks to everybody that came! 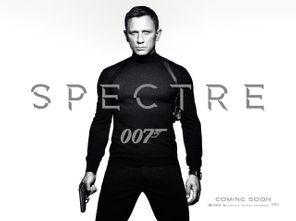 The next film to be shown will be the long-awaited James Bond film SPECTRE on the 9th January 2016. 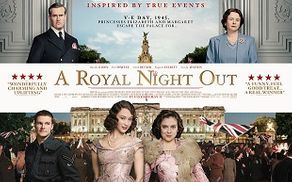 Saturday 11th July 2015 saw the 2nd Barlaston Night showing A Royal Night Out which went really well with a super atmosphere in the hall. White wine still seemed to be the tipple of choice but this time as everyone had bought their own there were no queues at the bar and no chance of running out! The film got mixed reviews but exit feedback showed that the evening overall had been a great success! We have got the new James Bond film Spectre on reserve but as this may not be available until the New Year we may slot another one in before then - please let us know if you have any preferences. The 11th April 2015 saw the introduction of the first of the Barlaston Film Nights. 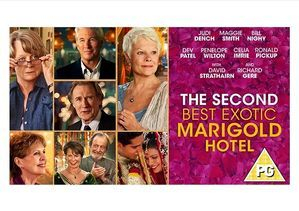 The 2nd Best Exotic Marigold Hotel was shown at the Barlaston Village Hall and it was a sell-out performance. The atmosphere in the hall was friendly and welcoming with lots of people using the bar and others chatting over a cup of tea and a biscuit. Ice creams and chocolates were also available and this contributed to the ‘Cinema feel’ of the evening. The audience was made up of 120 local people and it was agreed that the choice of film was excellent and meant that there was something in it for everyone. This created a great atmosphere across the generations, with a lot of laughter! There were a lot of positive comments after the performance as well as some learning points for the next time – mainly to make sure the white wine arrived on time (!) and to bring your own cushion!